Topics: Csr And Otherenvironmentalmatters, Mediareleases, The Business Of Business Events, The Meeting Architecture Manifesto, & Staffconference. 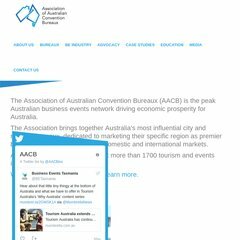 Aacb.org.au's server IP number is 202.76.250.253. It is hosted by Sitesuite Australiasia P/l (New South Wales, Sydney,) using nginx/1 web server. It has 2 DNS records, ns2.sitesuite.com.au, & ns.sitesuite.com.au. PING www. (202.76.250.253) 56(84) bytes of data.